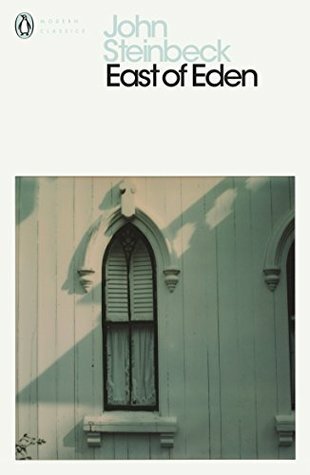 I’m still reading East of Eden by John Steinbeck. It’s the story of two families—the Trasks and the Hamiltons—whose generations helplessly re-enact the fall of Adam and Eve and the poisonous rivalry of Cain and Abel. I’m glad to say that I am now totally absorbed in Steinbeck’s book. Adam and Cathy’s twin sons have been born in appalling circumstances and I have become very fond of the Hamiltons and Lee, Adam’s Chinese servant. 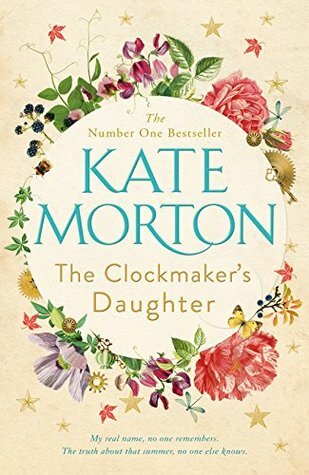 The Clockmaker’s Daughter due to be published on 20th September 2018. It’s set in the 1860s at Birchwood Manor on the banks of the Upper Thames where a group of young artists led by Edward Radcliffe are spending the summer and also in 2017 with Elodie, a young archivist in London, who finds a leather satchel containing two seemingly unrelated items: a sepia photograph of an arresting-looking woman in Victorian clothing, and an artist’s sketchbook containing the drawing of a twin-gabled house on the bend of a river. It’s a story of murder, mystery and thievery, of art, love and loss. I am really not sure what my reaction to this book is. I need to sort out my thoughts before writing my review. I have all sorts of ideas about which book to read next and am undecided. 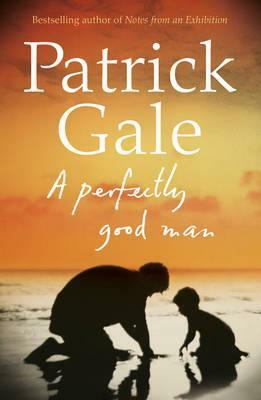 It could be any of the books I listed in yesterday’s post or A Perfectly Good Man by Patrick Gale. I’ve borrowed this from the library and have already renewed it several times – so I will have to read it soon, or return it unread. I loved his Notes from an Exhibition. On a clear, crisp summer’s day in Cornwall, a young man carefully prepares to take his own life, and asks family friend, John Barnaby, to pray with him. Barnaby – priest, husband and father – has always tried to do good, though life hasn’t always been rosy. Lenny’s request poses problems, not just for Barnaby, but for his wife and family, and the wider community, as the secrets of the past push themselves forcefully into the present for all to see. Don’t you dare return the Gale to the library without reading it! He is a wonderful writer and having read Notes From An Exhibition you will regret having missed out on the last few chapters of this if you do. I have just picked up his new one and am saving it for a weekend treat! How interesting, Margaret, that you’r’e sorting out your thoughts about The Clockmaker’s Daughter Some books really are like that, aren’t they? I’ll be looking forward to learning what you thought of the story when you’re ready to write your review. I’ll be looking for what you write about THE CLOCKMAKER’S DAUGHTER too. I’m looking forward to trying it. Kate Morton’s books are good, the ones I’ve read anyway, but they are long and involved. Look forward to your post on The Clockmaker’s Daughter as it sounds rather good.